And They Said There is No War on Coal! This past Tuesday President Obama, again through regulation over legislation, unveiled new tighter rules for power plants that will include a push for more restrictive green building codes and costly restrictions on household appliances. The economy of Ohio, the state that is America’s 4th-largest user of coal, faces a grave threat from these proposed EPA regulations that would halt coal use in existing electric power plants and prevent the building of new coal-burning plants. That’s a dangerous move with the economy still struggling to recover, especially in Ohio where an enormous share of our power – 78 percent – is generated with coal (nationwide, the share is 43 percent). The rules will kill many of the 27,000 Ohio jobs dependent on the coal industry. Not to mention the devastating impact on jobs and the economy in other coal producing and coal dependent states. Business and residential utility customers will certainly face greater risk of electricity price spikes as we rely for power generation more on natural gas (with its historically volatile price) and less on coal (with its historically stable, lower prices). While it is vital to the future of our country that we use our natural resources to diversify our energy portfolio, it is only prudent to allow the technology of these other sources to grow through free market investment by the private sector – not government mandates. Advancing technology already allows utilities to burn coal cleaner than in the past. Soon, coal-fired power plants that emit virtually no carbon dioxide will be feasible. But with President Obama & his EPA continuing their War on Coal by trying to make air cleaner than God himself ever intended, that will never be allowed to happen. For highlights of President Obama's new plan to cut carbon, click here. For a PDF of the complete action plan (assault), click here. A single man earning the average wage ($43,500 in 2011) who retired in 1980 would have paid a total of $96,000 in Social Security taxes and received lifetime benefits of $203,000, or about 211 percent of contributions. A single man earning the average wage but retiring in 2010 faces a vastly different situation: He would have paid $294,000 in taxes to receive benefits of just $265,000, or about 90 percent of contributions. For the same person retiring in 2030, taxes of $398,000 yield $336,000 in benefits, or just 84 percent of contributions. These numbers were found, according to de Rugy, “C. Eugene Steuerle and Stephanie Rennae, researchers at the liberal Urban Institute.” (Readers may remember Tea Party Patriots examined a report on the federal budget co-authored by Steuerle earlier this year.) Clearly, this system is both unsustainable – the Trust Fund for Social Security is projected to be empty in the near future – and not a good investment for retirees. There you have it. The 15.3% of your income that goes to your Medicare and Social Security retirement benefits is to not be around for much longer without changes, but they’re going to keep paying you less and less per dollar of forced investment. The only way out of this death spiral is aggressive reform. Oh, and the life of these programs? Amnesty will shorten this already bleak life expectancy. Columbus, OH - June 27, 2013 - The Health Care Compact is an interstate compact that gives each individual state control over the federal health care dollars spent within that state, and the authority to determine the best system of health care for its citizens, without interference from the federal government. The Health Care Compact (HB 227) was introduced into the Ohio House by co-sponsors Rep. Wes Retherford and Rep. Terry Boose Thursday morning. "We've been working very closely with Reps Retherford and Boose, as well as others, over the past few months," said Marianne Gasiecki, State Co-coordinator for Tea Party Patriots. "They asked the tough questions, and have a thorough understanding of the benefits of a long term solution like the health care compact." The federal government has been garnering more and more centralized power. The most recent display of this power was via the, arguably, most influential agency of the federal government, the IRS. The IRS would be the agency responsible for ensuring the enforcement of the Affordable Care Act. Ohio would be the ninth state to pass the health care compact, which must then receive a simple majority up or down vote in the US Congress. The health care compact is a critical step towards state sovereignty and self-governance, bringing accountability and the decision making process closer to the people. To learn more about the Health Care Compact, contact Marianne Gasiecki at mansfieldteaparty@gmail.com. To watch a short video about the Health Care Compact, click here. Since the Corker/Hoeven amendment was inserted into the amnesty bill on Friday, its corrupt and costly components have been slowly coming to light. Here are three more reasons the bill needs to fail. Another loophole inserted into the new version of the “Gang of Eight” immigration bill allows Department of Homeland Security Secretary Janet Napolitano (or any of her successors) to nix the construction of a required border security fence if she does not find it to be an “appropriate” use of resources. The new version of the bill was introduced via a so-called “border surge” amendment from Sens. Bob Corker (R-TN) and John Hoeven (R-ND), with Senate Majority Leader Harry Reid repackaging the whole bill into the amendment. This could allow illegal aliens to be granted amnesty, or legalized “Registered Provisional Immigration (RPI)” status, once Secretary Napolitano submits a fencing (and border security) plan to Congress. However, this provision allows Napolitano to decide against building the fence after doing so, with no legal ramifications. On Tuesday afternoon, THE WEEKLY STANDARD asked five different U.S. Senators about this problem. These five senators, all Democrats, voted to cut off debate Monday night on the revised immigration bill, but none of them knew if the bill would create a financial incentive for some employers to hire amnestied immigrants instead of American citizens. More recently, Kessler claims Senators had plenty of time to read and understand the bill between the addition of the Corker/Hoeven amendment and the cloture vote on Monday. His declaration relies on a couple of very tenuous statements: First, because the Congressional Budget Office can assess legislation, Congress’s staffers be able to as well. Second, many of the staffers examined various components of the bill for weeks before it was introduced. Lastly, he says the Senate’s strongly worded Suggestions (AKA Rules) were followed to a “T” by those who say the bill is too complex to understand in three days – and by following the “rules,” they made things more complex. Kessler forgets the difference between staffers and members. It doesn’t matter if staffers understand the bill. The problem is that Members of Congress, the people voting on bills, don’t. Finally, whether or not things were made more difficult by Senators opposed to amnesty is moot, the complexity of the bill itself is unrelated to procedural posturing. . The required border fence before legalization? Not required at all. The bill is so complex at least 5 amnesty-supporting Senators don’t know the answer to a very important question about it. Understanding the bill is exceedingly difficult – and Congress should not be passing bills it does not understand. Keep up the fight, everyone. We can stop this disaster of a bill where it stands – just keeping calling your Senators with these facts, and tell your neighbors and friends to do the same. Despite the floods of calls from patriot groups, NumbersUSA, and bloggers opposed to immigration amnesty bill S 744, the Senate today voted in late afternoon, 67-32 for Cloture to cut off debate on a bill amendment that nobody has read, moving the bill closer to passage. Note that Sen. Portman voted against the bill. 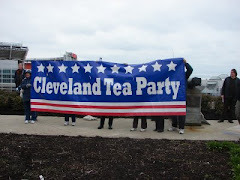 Ohio calls from Tea Party Patriots made a difference, but we'll have to keep at it. CALL SENATE OFFICES TOMORROW: (202) 224-3121. — Conservative organizations throughout Florida have united in withdrawing support from Senator Rubio over a string of broken promises made to the American people regarding Immigration. In an April 16, 2013 letter from the Senator to Florida Patriot Groups, he pledged not to support legislation that is rushed through Congress, does not truly and legitimately secure our borders or that leads to further illegal immigration in the future. The current bill, current amendment and the rush to ram the bill through the Senate by week's end violate this letter and earlier public statements by the Senator. This bill will forever be known as the Rubio Amnesty bill. As a result, Patriot groups, including the Martin 9/12 Committee, are withdrawing their support for Senator Rubio and demand that he walk away from this bill. 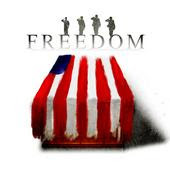 These Patriot Groups announce "Kill the Bill" week beginning on Monday, June 24, 2013. Monday will be called "Bait and Switch Day" in honor of the ineffective and costly 1,000-plus page amendment to the bill allegedly to strengthen border security provisions of the bill. It is apparent that the Senate intends to pass an amnesty-first bill at all costs and that the amendment is only to give the appearance of increased border security. Given the fact that there is no enforcement of existing border security laws, Senator Rubio's support of this last minute amendment further erodes the public's trust in the Senator and erodes the public's trust in the ability of the federal government to protect its citizens. On Monday, citizens are urged to call and email Senator Rubio and Senator Nelson urging them to kill this amendment. Most importantly, they are urged to visit the Senator Rubio's local office and deliver a signed "You have lost our trust and support, Kill the Bill!" statement. Senator Sessions, along with Senator Cruz, has been one of the leading voices in exposing the hypocrisy of the Senate's Amnesty Bill. Click here to see a brief speech delivered by Senator Sessions at the rally on Wednesday. Prior to Senator Session brief speech, the Founder of a national remembrance project for victims of illegal alien violence spoke click here to watch. Both of these speakers are reiterating what we already know. This bill has nothing to do with protecting our borders, our sovereignty, and everything to do with special interests. Following is a link to a Washington Post whip count of Senators who are likely to vote for the bill, or on the fence. As expected, Senator Portman is one of them Click Here to See the Count . Call Senator Portman on Monday 6/24! Tell Senator Portman that anything other than a "NO" vote on S. 744 is unacceptable. He is elected to represent us, not special interests or illegal aliens who have broken our laws, living in the shadows while benefiting from our social programs. The Senators need to hear from us now! PS Sen. Ted Cruz was a guest on Fox News last week and when asked if making these calls actually make any difference, he said yes. Emphatically. Cruz urged citizens to melt the phones to stop this bill. It's our best shot at piercing the DC bubble. Tea Party Patriots worked around the clock to organize an "Audit the IRS" Rally that drew a bigger crowd than President Obama's corresponding speech in Berlin. Between the "Audit the IRS" Rally and the adjacent rally against the Senate's Amnesty bill, the crowd was estimated between 7,000 and 10,000 people. White House pool reporter Elmar Jakobs estimated President Obama's crowd at only 4,500. At one point, the Capital Police tried to stop people attending the Audit the IRS Rally, from attending the Amnesty Rally (read here), claiming that was not allowed under the TPP permit. Thankfully, that last ditch effort in intimidation was thwarted by one of our TPP National Coordinators. We have never had issues with the Capital Police before, but between this effort and the hassle in issuing the permit for this event, it's obvious that this regime will use whatever means necessary to silence opposition. We are excited to announce our brand new mobile application for tomorrow's Audit the IRS rally in DC! Check it out on your mobile device here: AuditTheIRS.net. If you are attending the rally, use the mobile app to actively participate in the rally, stay up-to-date on the latest news, social integration, rally location, parking and restroom information, call to actions and more! If you can't attend the rally, use the mobile app to watch the rally LIVE! Many of you now know the U.S. Senate voted for cloture and now the immigration reform bill (S.744) goes to the full Senate for a vote. As expected, Senator Sherrod Brown voted in support of cloture. And, in again abandoning conservatives, after stating he did not support the immigration reform bill (S.744) in its current form, Senator Rob Portman, voted in support of cloture and advancement of the bill. Willing to trade off what they wrongly perceive will be votes from Hispanic voters for passing S.744 in exchange for the fiscal well-being and national security of our country, this morning on NBC's Meet the Press Senator Lindsey Graham is now predicting the bill will pass with overwhelming GOP support. Making matters worse, Speaker John Boehner is up to his old tricks again and has been working behind the scenes and predicts the House will pass an immigration bill before the end of the year. Please call Senators Portman, Senator Brown and the below targeted Senators and tell them to vote NO on S.744. Ohio - June 14, 2013 - Ohio politicians continue to expose their blatant disregard for the principles on which they ran, and the constituents who elected them. Their most recent display of weakness and lack of moral fortitude is in full display with the series of events surrounding the Amnesty Bill S.744. "No one is opposed to legal immigration. My grandparents were legal immigrants from Sicily and risked everything to assimilate and become Americans, providing a future for their children that would be inconceivable in Sicily," stated Marianne Gasiecki, Founder of the Mansfield Tea Party and State Co-coordinator. "What we're opposed to is a complete disregard for the laws of this land and taxpaying citizens." If this bill passes, about 12 million current illegal immigrants would become permanent legal residents within ten years. A recent poll commissioned by the Federation for American Immigration Reform reflected that 68% of Ohioans oppose granting legal status to illegal aliens before a border security plan is fully implemented. 74% of Ohioans oppose the discretionary authority given to DHS to legalize aliens with criminal records or gang affiliations. Apparently, Senator Portman (R-Ohio) and Speaker Boehner (R-Ohio) believe it's no longer their job to represent the Ohioans who elected them. "Earlier this week I asked Mr. Hoggatt, Senator Portman's aide, if the Senator supported S.744. His answer was "no", but two days later, again betraying his conservative base, Senator Portman voted for Cloture and pushed the bill forward in the Senate. Then we find out that Speaker Boehner, to no real surprise, has his own ideas on how to push forward with an amnesty granting bill," said Ralph King, fellow Ohio State Co-ordinator for Tea Party Patriots and Founder of the Cleveland Tea Party Patriots. According to a recent article from The Blaze there is a revolt in the Boehner led House of Representatives, with 70 members petitioning for a special Republican conference meeting on the bill. Also, boarder security is not up for debate, nor does it appear to be a concern. The Senate already rejected a proposal by Iowa Republican Charles Grassley, that would have prohibited a first step toward granting them legal status until the U.S. Department of Homeland Security "has maintained effective control" of the entire U.S.-Mexico border - 1,969 miles - for a period of six months. Instead, the Senate has shown unity in protecting what they see as a pillar of S.744: a provision to quickly make undocumented immigrants legal residents, therefore creating a whole new, permanent progressive voting block. It's time for us to demand that our elected officials do the job their paid to do, and represent the tax paying citizens of Ohio. If you want to take a bus, a gentleman by the name of Scott ... is coordinating one. He was originally planning to leave from the Akron area, but if he doesn't get enough responses, he will be joining forces with Zanesville, which means the departure location could be changed to Cambridge. 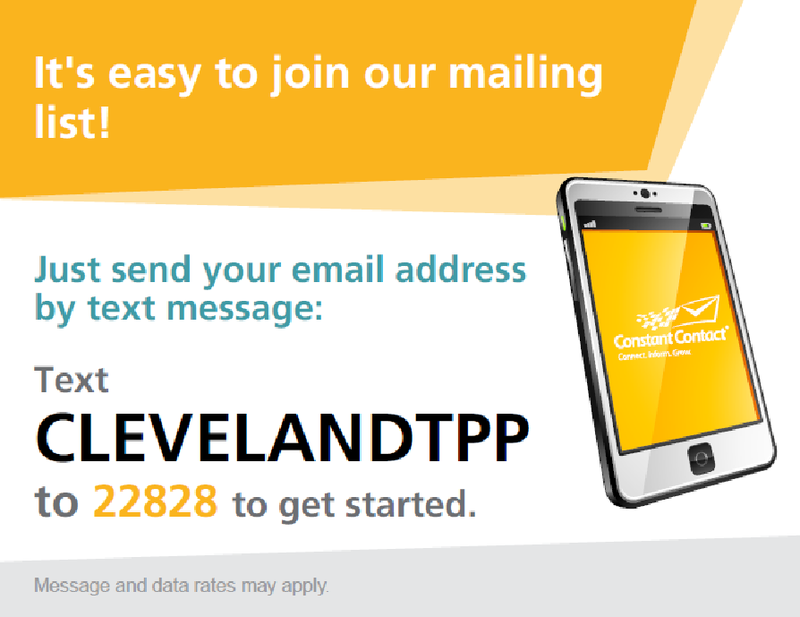 If you are interested, please e-mail ClevelandTeaParty@gmail.com ASAP, so we can provide you with further contact info and can plan accordingly [and you can determine time/location, cost, etc.]. Medicaid Expansion in Ohio: Are Hospitals and Insurance Companies Too Big (and Powerful) to Fail? ARE HOSPITALS AND INSURANCE COMPANIES TOO BIG (AND POWERFUL) TO FAIL? What would cause an otherwise fiscally conservative budget hawk to push for Medicaid expansion - an unsustainable, broken system that provides substandard, if any, care to those in need - and turn his back on the very constituents that supported him? When Governor Kasich made his announcement to support Medicaid expansion in Ohio, it made no sense to anyone who knows the Governor’s fiscal policies or congressional history. The only plausible explanation was that it’s campaign season. The Affordable Care Act (ACA) was intentionally constructed to turn health care providers into lobbyists for Medicaid expansion, by phasing out federal funding that currently offsets some of the charity work hospitals are mandated to provide. The Ohio Hospital Assoc. (OHA) claims that Medicaid must be expanded to care for the poor, but only 16 out of the 88 hospitals in its network would have reported a loss had they not received charity offsets, and only 30 hospitals reported charity offsets exceeding 1% of their total revenue (Ohio Hospitals Would Net Millions Without Charity Care Funding). But the OHA insists that its members need more taxpayer funding. Really? What about insurance companies? Rep. Barbara Sears, who recently introduced House Bill 176 to expand Medicaid in Ohio, manages the employee benefits division at Roemer Insurance, and over 27% of the donations made to her campaign account came from the health care industry alone. Rep. Sears’ top donor, Ginni Ragan, has been identified as a supporter of the ACA Medicaid expansion. Other top donors were Friends of Ohio Hospitals, the OHA, Aetna, Humana, Merck and Novartis, just to name a few (source: Ohio Secretary of State). Who was one of the top contributors to Governor Kasich’s campaign? Barbara Mixon, wife of Mal Mixon who owns Invacare Corporation (manufacturer and distributor of home and long-term care medical products) and is Chairman Emeritus of the Board of Trustees of The Cleveland Clinic Foundation (Followthemoney.org). It is these same organizations that have threatened to pull their campaign funding from anyone who opposes Medicaid expansion. What these organizations, the Governor and other Medicaid expansion proponents seem to have forgotten is that regardless of the money in their campaign coffers, without the grassroots conservative vote, they cannot win. Governor Romney is a perfect example of what happens when the grassroots conservatives are left uninspired and feeling betrayed. Last week the Ohio Senate passed a budget. The good news is it did not include Medicaid expansion. The bad news is, the fight is far from over. The more conservative members of the House continue to fight against Medicaid expansion, but are up against other members, and our Governor, who will personally and politically benefit from the expansion, as well as the gargantuan American Hospital Association and the Ohio Hospital Association which stand to gain $13 billion over the next seven years with this expansion. Who else gains from the expansion? It's not the taxpayer, and most likely not those in need. Click Here to Read Marianne's recent Op-Ed regarding who's behind the push for Medicaid expansion. If Medicaid expansion is not passed, the AHA and the OHA will most likely use their power and money to get it on the ballot this fall. They must be exposed for the self-serving bullies that they are. Amnesty vote scheduled for Tuesday: Kill. The. Bill. The Senate will vote on the Schumer-Rubio-Obama Amnesty bill on Tuesday, June 11th at 2:15 p.m. The bill can be killed with this first vote if it doesn't get 60 YES votes.There has been plenty of debate about this bill or the plans for this bill since January. 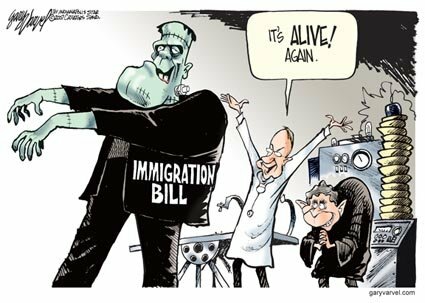 After the Judiciary Committee made it clear that this bill will provide amnesty/work permits to 11 million illegal aliens before any new enforcement -- and will issue 33 million work permits to foreign citizens over the first ten years -- there is no need for more debate to know it is time to just kill the bill. Details on the bill in a PDF file here. (Washington, D.C. June 7, 2013) A statewide poll of likely Ohio voters finds strong opposition to a bill before the U.S. Senate that would grant amnesty to 12 million illegal aliens and dramatically increase overall immigration to the United States. According to the poll, 56 percent of Ohio voters oppose S.744, the Gang of Eight immigration bill - including 38 percent who said they are "strongly opposed." Click Here to See the Poll. Call Senators Portman and Brown and tell them they were elected to respect and represent the will of the people. Schedule a few minutes on Monday to call both Senators. You might also wish to call Sen. Marco Rubio’s office at 202-224-3041 or e-mail him here. What a disappointment he is! UPDATE 6/6/13: Add Senator Kelly Ayotte to your list. Here's her op-ed on why she will vote yes. Her phone numbers are at the bottom of the op-ed page. The House of Representatives voted 224–201 Thursday morning to deny funding for the Obama administration’s controversial Deferred Action for Childhood Arrivals (DACA) policy. The policy, which was implemented via executive order in June 2012, effectively assumes the enactment of the DREAM Act, legislation that has failed to pass Congress on multiple occasions, and has raised concerns about executive overreach.